Additionally, there is background material, Scripture from multiple versions (NRSV, NIV, NKJV and the CEB), Director's Overview paragraphs connecting all the activities for each session, and daily worship scripts. The Director's Manual is conveniently included in Starter Kit. 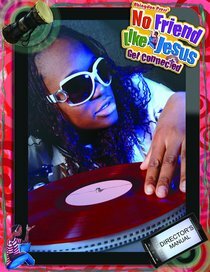 About "2012 Vbs: No Friend Like Jesus - Get Connected (Director's Manual)"